Step 1: Sign up and register for Summer classes your dancer is interested in. 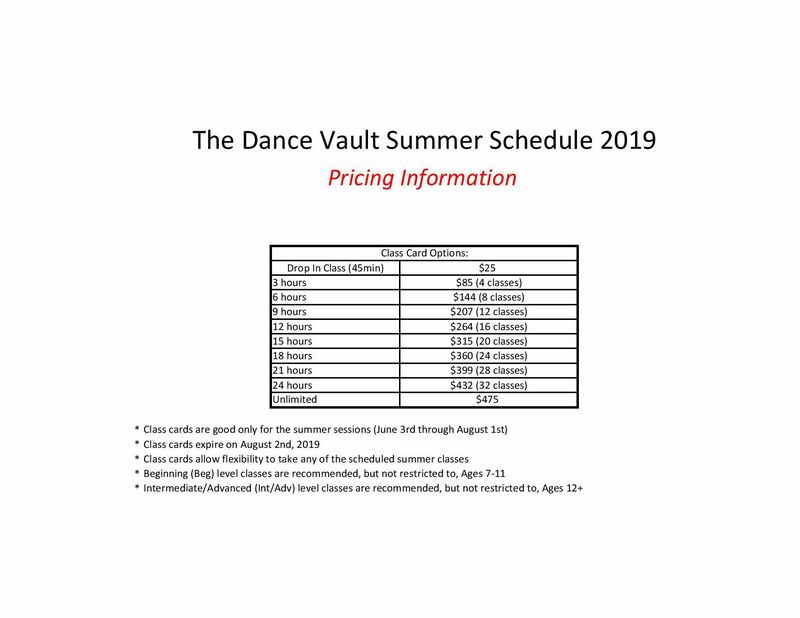 Step 2: Email billing@thedancevault.net with how many hours you would like to buy or stop by our office to purchase a class card. Step 3: Show up 15 minutes prior to class to check in and DANCE! - Summer classes do not participate in recital. - There are no registration fees for summer classes. - Discounts do not apply to summer class cards. Free Audition Clinic and Parent information Meeting! Has your dancer ever considered dancing competitively? We have a FREE audition clinic on May 10th from 5:30pm to 7:30pm. Your dancer will learn a short combo dance and there will be a Q & A after with owner and Code 17 company director Danielle Applegate. There will also be parent information meetings on April 18th and May 9th from 5:30pm-7:00pm. Please sign up to secure your spot! Under classes search “audition clinic” and or “parent information meeting” and enroll your dancer. Hope to see you there! 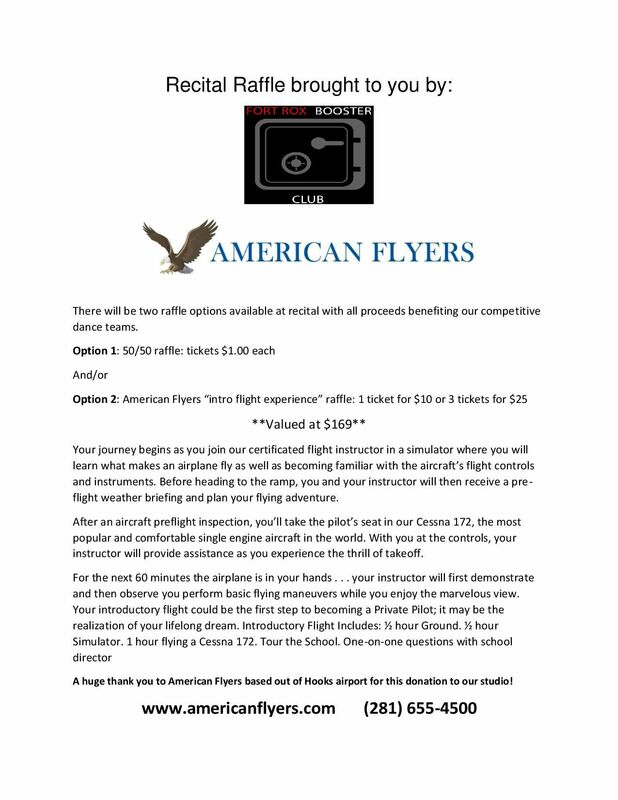 All proceeds benefit the dancer's booster club! 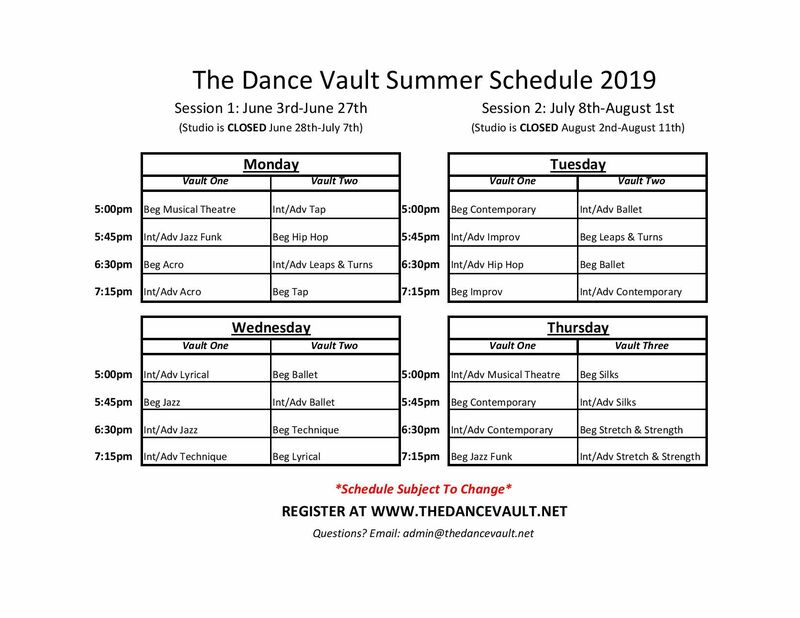 The Dance Vault's inaugural season started on August 14th, 2017. 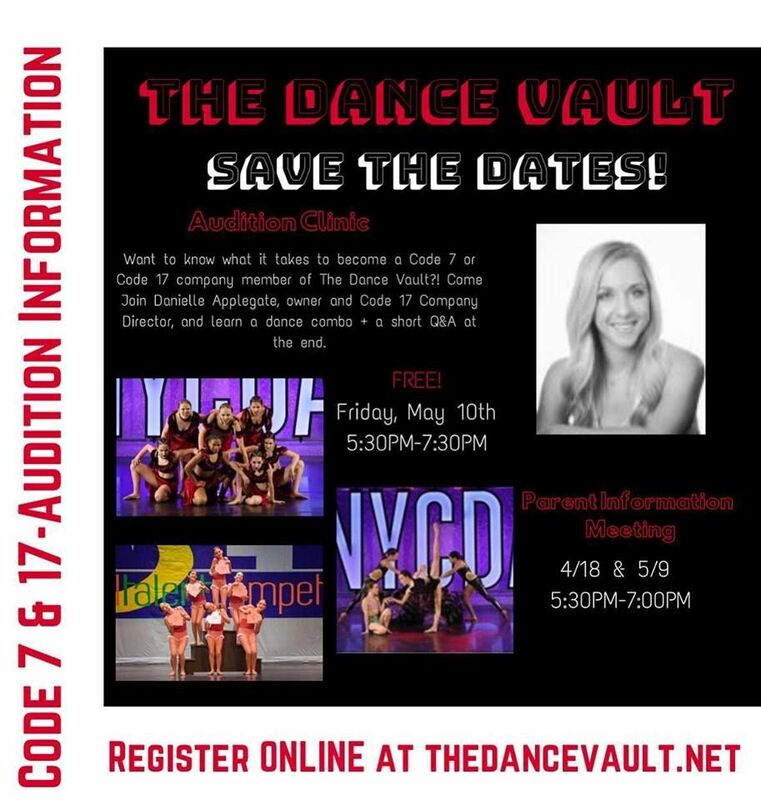 The Dance Vault offers classes of various styles such as Ballet, Jazz, Tap, Aerial Silks, Hip-hop, Contemporary, Lyrical, Acro, Stretch/Strength, Technique, Leaps & Turns, including competition teams. The Dance Vault has a fantastic instructor staff that will help your dancer achieve his/her goals. The Dance Vault is a family-run dance studio. Danielle Applegate, the owner, was born and raised in Phoenix, Arizona. Danielle has won various scholarships and awards from regional and national dance conventions and competitions. Since her childhood was spent in Arizona, she also made numerous trips to further her dance training by taking various classes at highly known facilities throughout Los Angeles such as Millennium and EDGE Performing Arts Center, as well as performing in Carnival's "Choreographer's Ball." Danielle soon began teaching and choreographing for the competitive company immediately after high school graduation at the very studio she received her training. Her choreography and dancers have been acknowledged at both the regional and national levels by winning multiple overall 1st place awards as well as choreography, best technique, and best entertainment awards from internationally respected competitions such as Adrenaline, KAR, 8 National Talent, Starquest, MOVE, etc. To see more of our Dance Videos go to the top of the page menu bar and select "About our dance studio" then "Dance Videos"